Sarah Kennedy, MA, IMFT, is a Marriage and Family Therapist who provides outpatient therapy at Child Focus, Inc. Sarah received a Master of Arts degree in Marriage and Family Therapy from the University of Connecticut, and Bachelor of Arts degrees in both Psychology, and Human Development and Family Studies, also from the University of Connecticut. Prior to transitioning to Child Focus, Inc. in January of 2018, Sarah was living and working in Connecticut as an outpatient therapist at a community health center where she provided individual, family, couple and group therapy to children, adolescents, adults, couples and families. Sarah is also trained in Trauma-Focused Cognitive Behavioral Therapy, and provides this treatment modality to children and their families who have been exposed to trauma. Sarah strives to create a safe and collaborative space for all of her clients and families to openly and authentically express themselves in a manner that allows them to find clarity and peace in their everyday lives. Kayla Key, BA, QMHS, is a Qualified Mental Health Specialist who provides Community Psychiatric Support treatment (CPST) in schools, the community, and home based services. She graduated from Wright State University with her Bachelor’s degree in Psychology with a concentration in Criminal Justice in 2017, and started working for Child Focus in September 2017. She is responsible for CPST services and prevention services for clients at Goshen High School, Goshen Middle School, and Marr/Cook Elementary School. She also has experience from her internship at Greene County Visitation Center in Xenia, and from being a part of To Write love On Her Arms (TWLOHA) organization and volunteering for local school districts in Dayton. Kayla plans on continuing her education and obtaining her Master’s degree in Behavioral Therapy in the near future. 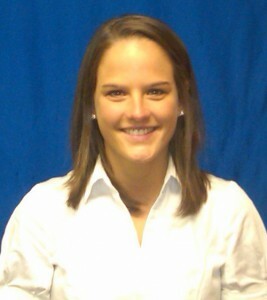 Kaci Kniceley, BS, QMHS, is a Qualified Mental Health Specialist focused on school, community, and home based services. She graduated from Ohio University with her Bachelor’s degree in Child and Family Studies in 2015 and started working for Child Focus in September 2017. She is responsible for Community Psychiatric Support Treatment (CPST) services and prevention services for clients at Seipelt Elementary and Milford Jr. High School. Kaci plans on continuing her education and obtaining her Master’s degree in School Counseling in the near future. 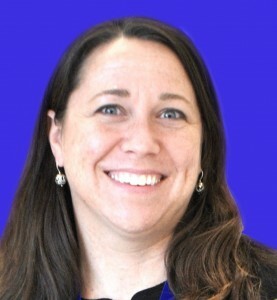 Cathy Krieg, MA, received her Bachelor of Science Degree in Psychology from Northern Kentucky University in 1998 and Master of Arts degree in Clinical Psychology from Xavier University in 2000. She began working for Child Focus in 2003 and is currently the Assistant Director of Special Populations – Crisis Services and Diagnostic Services for Child Focus, Inc. Cathy has worked as a responder for the Clermont County Crisis Hotline since 2007 and as a responder with the Mobile Crisis Team since 2012. She has extensive training in the assessment and treatment of individuals experiencing mental health crisis including suicide, aggression, drug and alcohol abuse, and chronic mental illness as part of her work for the hotline and with the Mobile Crisis Team. Cathy has over 14 years of experience working with children and adolescents in the partial hospitalization program for severely mentally ill children and adolescents who are not able to be maintained in a public school setting. This work included individual, family and group therapy with clients and families across a wide range of diagnostic categories. She has several years of experience using Nonviolent Crisis Intervention with this population and became a Crisis Prevention Institute (CPI) instructor in 2012. Colette Larson, MSW, LISW-S, is the Assistant Director of Special Populations - Genesis/Juvenile Court. In this role, she is responsible for administrative oversight of these programs, supervision of other CFI employees in the Genesis and Juvenile Court programs, as well as developing and building the relationships with stakeholders. Prior to this role, Colette worked in the Genesis program for five years. Mrs. Larson received her Bachelor’s degree in Social Work from Xavier University in 2009 and her Masters in Social Work from the University of Cincinnati in 2010. She is currently a Licensed Independent Social Worker with Supervision designation in the state of Ohio. Mrs. Larson also has experience training master level students and is able to take a student intern for each school year. Mrs. Larson has experience and training in diagnostic assessments, Trauma-Focused CBT, Crisis Prevention Intervention, Suicide Risk Assessment and Management Training, Play Therapy, and much more. Mrs. Larson has experience working with clients who are diagnosed with mental health disorders such as; ADHD, ODD, Bipolar Disorder, Adjustment Disorder, and Conduct Disorder in both individual and group settings. Teresa Lawhead M.A., LPCC-S, is a Licensed Professional Clinical Counselor and Coordinator of Region 3 working in Community Mental Health Services for Child Focus, Inc. in the Mt. Carmel office. She received her graduate degree in Rehabilitation and Mental Health Counseling from the University of South Florida in 2005. She also received a Play Therapy Certificate from the University of South Florida in 2005. Ms. Lawhead has over twenty years of experience working in the mental health field, with over twelve years as a clinician. Ms. Lawhead earned her independent license in Florida in 2015 and in Ohio in 2016, with a supervisor endorsement in January 2018. Ms. Lawhead’s experience includes working in residential treatment, outpatient services, home-based services, research, and school-based services. Ms. Lawhead began working at Child Focus, Inc. in 2016. She began as a school-based therapist in 2016 and moved into the Coordinator of Region 3 position in 2017. Ms. Lawhead provides individual, family, and group therapy. Kelly Lean, MSW, LISW-S is a Licensed Independent Social Worker Supervisor with more than 13 years of experience dedicated to improving the lives of children, adolescents and their families. Mrs. Lean earned her bachelor’s degree in social work at Wright State University in 2000 and her master's degree in social work from The Ohio State University in 2002. She received her independent license from the Ohio Counselor, Social Worker and Marriage & Family Therapist Board in 2004. Mrs. Lean is also licensed by The Ohio Department of Education as a Certified School Social Worker. Mrs. Lean began working within school settings as a clinician in 2004. She has also worked within partial hospitalization programs, alternative education settings, children’s psychiatric hospital setting, as well as community mental health. She enjoys helping school age children and families to overcome the barriers to academic and life success. Mrs. Lean is able to provide child and adolescent counseling, family counseling, group counseling, crisis intervention, consultation, as well as diagnosis and treatment of mental and emotional disorders. She has expertise in crisis de-escalation techniques, behavior intervention techniques, and social skills trainings. Mrs. Lean utilizes a combination of cognitive behavior therapy, play therapy, and psycho-educational techniques. Jill Light, M.Ed., LPC, received her Master of Education degree in Counseling and Human Development from Lindsey Wilson College in 2015. She received her BM at Northern Kentucky University in 2009. She was assistant Director of bands for Conner Middle School as well as taught at the preschool and school age levels of Afton Wesleyan Preschool and Daycare. Jill obtained her LPC in February 2016, and is currently completing requirements for Parent-Child Interaction Therapy (PCIT) certification. She began her internship here at Child Focus in January of 2015, providing individual and group therapy under supervision, and currently is employed as a full-time therapist. Sarah Liversage, BA, QMHS, completed her Bachelor of Arts in Psychology with a minor in Child Studies at Miami University in May 2017. Sarah began working at Child Focus, Inc. in January 2018 as a Qualified Mental Health Specialist for New Richmond Elementary, Monroe Elementary, and Locust Corner Elementary. Sarah provides therapeutic behavioral support (TBS) and prevention services to children in preschool through sixth grade. Sarah also provides consultation and classroom presentations to school staff. Sarah has experience working with children with mental health concerns through a research lab at Miami University that studied child anxiety and through an internship at Bowman Primary School where she observed school counselor sessions, IEP meetings, and students in intervention classes. Samantha Logan, BSW, LSW, graduated with her Bachelor of Social Work degree from Xavier University in 2014 and her Master of Criminal Justice degree in 2018. She is a Licensed Social Worker. Her clinical experience includes drug and alcohol case management in a correctional setting. Additionally, Samantha has experience as a school-based therapist in Hamilton County with Talbert House. She began with Crisis Services at Child Focus in September 2016. She is a Mobile Crisis responder based in the Mount Carmel office, she conducts crisis intervention appointments, and she is a responder on the Crisis Hotline. Meg Lomboy, B.S., QMHS, earned her Bachelor of Science in Organizational Communication Studies from Ohio University in 2015. Upon graduation, she worked for two years in Prevention Education Services throughout Clermont, Brown, and Hamilton counties educating youth grades 6th – 12th in the Safe Dates program, which focuses on dating violence prevention, healthy relationships, anatomy, contraceptives, as well as sexual assault and harassment laws. In addition to the 12 school districts she served, she also ran groups for youth at the Clermont County Juvenile Detention Center and Clermont Recovery Center, giving her a lot of experience working with mental health as well as skills in conflict management and positive interaction. Following prevention education, she began working as a Family Intervention Coordinator at the local Intimate Partner Violence Shelter, House of Peace, where she offered case management to the women and children in the shelter, in addition to the families participating in the Clermont County Transitional Living Program. She comes to Child Focus with prior experience and knowledge working with youth, building rapport with families, connecting clients to community resources, and overall serving others in a trauma-informed way. Meg is now a part of the Child Focus Out of Home Care team providing in-home mental health services and parent education services as a Qualified Mental Health Specialist. In this role she educates and empowers parents to positively engage with their children in a way that helps best manage the mental health needs of the children, and overall generates problem-solving solutions in partnership with the family.